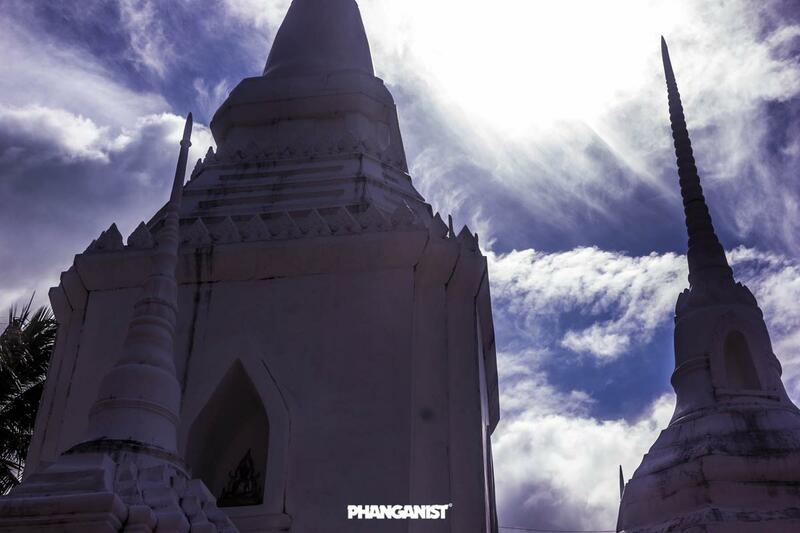 There are over 20 temples on Koh Phangan which are open for visitors every day. The Monks and the people there will expect you to follow some very simple and easy guidelines whilst you are there. 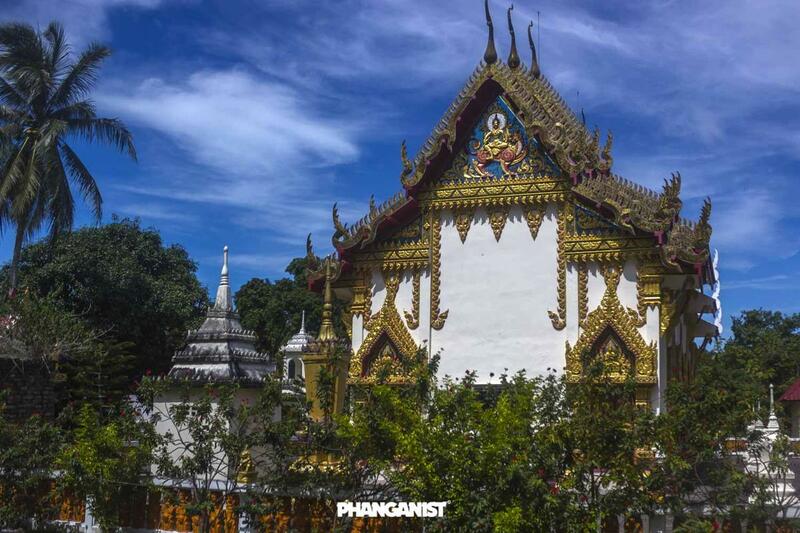 The locals will expect you to have respect not only for the temple itself but also appreciation for Thai Culture. While some people have been heard to say ‘all temples are basically the same’ this is not true. There is alway something new to see at each temple and they are in the same style which is an important part of Thai culture and their history. To have over 20 Temples on an island this size tells everyone how important they all are. First of all never point your feet at the friendly Thai people and especially Monks as this is considered rude and an insult not only in the temples but actually everywhere in this wonderful country. If you have a seat whether it be in front of a monk or another local in there remember to sit crossed legged or with your feet behind you. You must dress appropriately and always wear and shirt with your shoulders covered and also any slightly intimate flesh, it is OK to wear shorts but not too short - and especially no wearing of speedos or bikinis! If you are lucky enough to be able to sit in front of one of the monks there and begin to feel peaceful and calm and relaxed just to be in his presence then please remember the above rules. Finally, it is forbidden for a woman to touch a monk, remember this is Thai culture. If you need to pass anything to him or he is kind enough to offer a ‘selfie’ please remember it's only guys that can touch the monk. But please avoid selfies in temples this is your experience to remember, why share it?! The temples are everywhere on the island and have regular festivals with live music, food stalls and shopping for you. Wat Samai Kongkha is on the road that goes past the hospital and it is one that you cannot miss. It is beautiful and taken care of by the monks that live there including Phra Olarn Thanawuttho who also offers meditation. 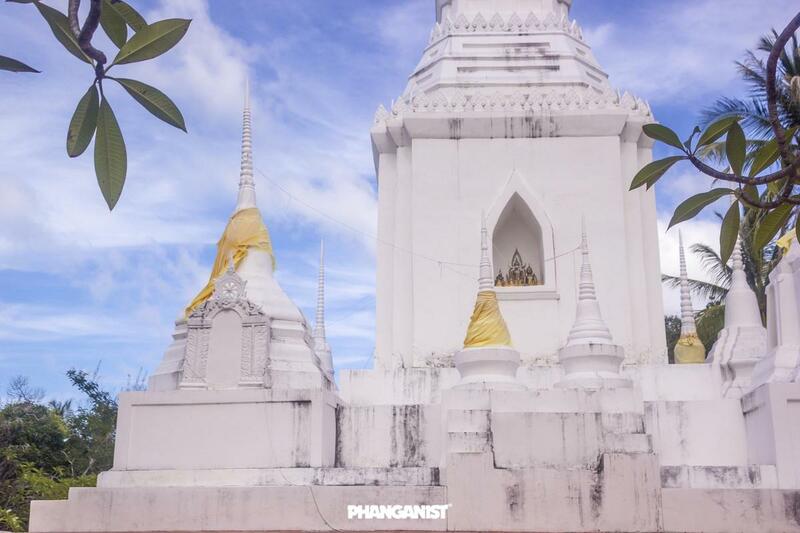 This is the oldest temple on Koh Phangan situated just behind Thong Sala and is very easy to find. This is one of the many great viewpoints on the island and the monks are usually only around in the morning until early afternoon but the temple is open all day. 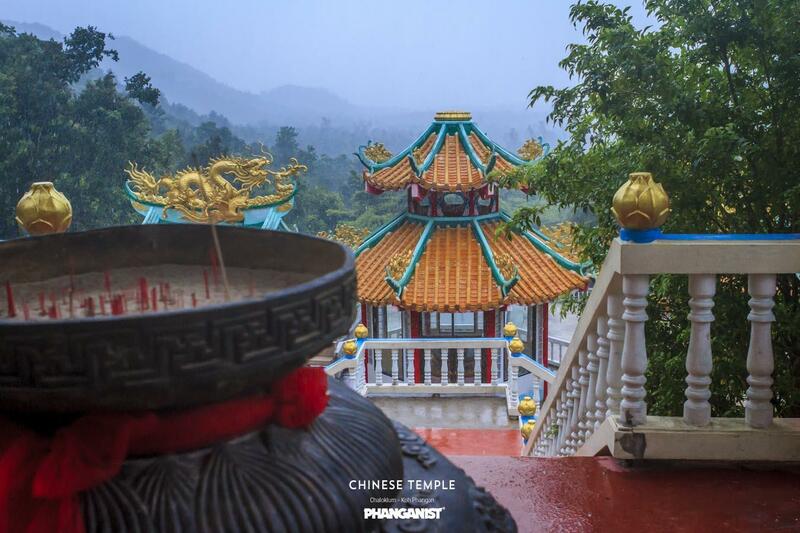 This temple in the middle of the island found next to Phaeng Waterfall which is at the top fof the main road of the island. There a short hike to temple but you can also spend the day with a hike to the top of phaeng waterfall where you can find natural pools to bathe in and wonderful views of the jungle and of course the waterfall is beautiful. The temple is open all day and get early to see the monks. Food and rink is available and a small cafe selling local quality Thai food. There is a fascinating recent back story to the temple as well as being a great day out for budding and professional photographers. A Chinese lady, Mrs Malawan, in 1990 came to the island when it was very primitive with certainly no broadband, smartphones or even hardly any electricity. She had a dream of the Chinese Buddha Jaomae Kuanim. The Buddha told her to build something for the spirituality of the people and she returned a year later and organised the build of this temple. The temple is very popular and is only open from 8am until 5pm and is another great day out. There are many viewpoints and its another great reason to visit the North West of the island. 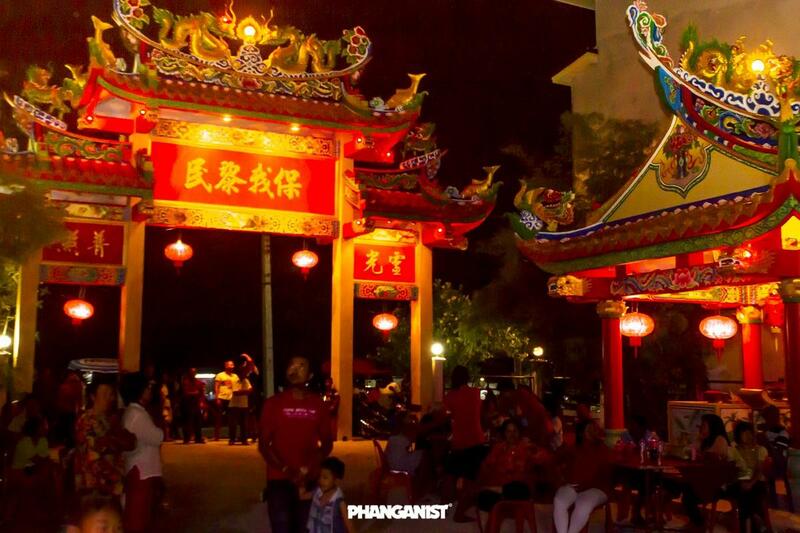 There is also a Chinese temple in Thong Sala which holds celevrations for Chinese new year. Wat Pho is a temple with a difference. It is located on the road from Baan tai to Thong Nai Pan. The temple is beautiful as it is but the monks offer a traditional steam sauna which is rare on the island is a traditional Thai Sauna with a log fire and it burns with lemon grass and other Thai herbs to make you feel wonderful and its great to sweat out any toxins from the night before, believe us you will feel great after this! The sauna operation is open mid afternoon until early evening so go have a look and definitely plan a sauna into your day out you won’t regret this.. This temple is a very peaceful and beautiful place to be. There are not many monks and a Nun here but they will welcome you with open arms. There are some stunning viewpoints around this temple with boulders to climb and shady places of have a sit and have a moment of peaceful reflection on life. There are views a far as Koh Samui on a clear day so it's another great place for those nature and viewpoint photographs which are all over the island. So for a great day out make a visit to one these places and have a chilled out relaxed day - food and drink is usually available outside and remember to respect the Thai culture here and enjoy.